Well many of the white kids enjoying their time on the beach, drinking in the day, would travel in from the sand hearing the wonderful R&B music coming from the mysterious beach-side bars. Here guys and gals were hearing music that was always deemed inappropriate for them; music that would have ended in a beating at home if they were caught listening to it. When the companies that stocked the jukeboxes noticed white kids in black bars listening to black music such as "Nip Sip" or "Stagger Lee", they started ordering more records and stocking the white bars that the same kids frequented. It was just good business for the record companies but little did they know that they were starting a revolution on the Grand Strand. Breaking down the barrier between the white and black communities that had common ground with the music that everyone loved. Because these kid's couldn't talk out loud at home about groups like The Clovers or The Mighty Mighty Tamms, they found ways around discussing "colored records". The term most used and that finally stuck, was Beach Music. Over 50 years has past since then, and the world around the Carolina Shag has definitely changed in many ways. For better or for worse is up to you. A little known fact to my photography clients and peers is that I am a trained professional ballroom dancer that has competed and won titles in my division as well as taught for numerous years here in Myrtle Beach. Before I really learned much about shag, I was warned to stay away from the shag clubs by the other dancers I worked with because of the closed off "snooty" nature of the shag community. If you were any other type of dancer, you were looked down on or made fun of. The first couple of times I went out to each year's largest Shag event, SOS Fall Migration, I was either asked off the floor or overly crowded to the point where we had to step off. But I was determined. I am a Myrtle Beach area native, Shag is something in my DNA, it's a right of passage. I refused to let this go because I wanted to be part of the amazing history I knew this dance to be. So I practiced and I practiced, making myself diligently study the form of shag. By the time my wife and I started going out there again, we seemed like part of the crowd. Even if we were 35 years younger than everyone else on the dance floor. Here's where it gets personal for me. I've spent the last three years dancing in the shag community during different events, regular weekends out at the dance clubs, and supporting during competitions. My wife and I both purchase memberships to SOS every year. 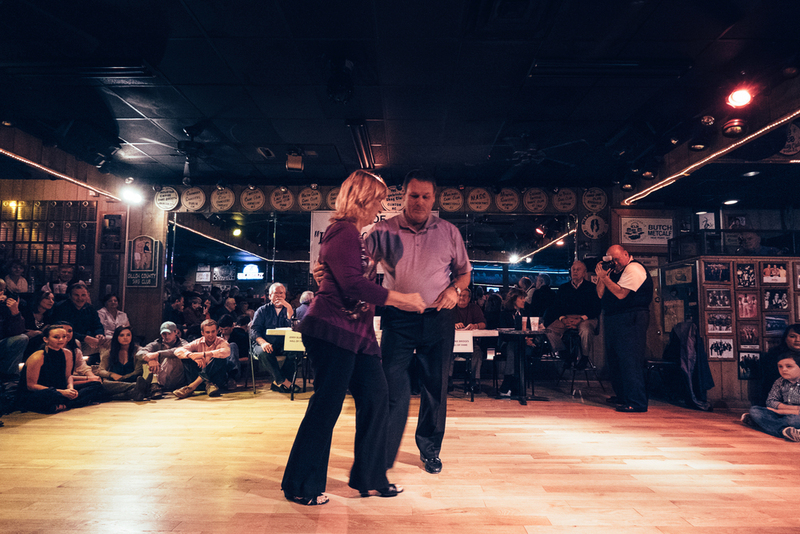 Recently my wife and I attended the Keepers Of The Dance shag contest at Fat Harold's on Ocean Drive in North Myrtle Beach; this contest is for people of all ages that help keep the spirit of the dance alive in this generation and those coming up. Many even call it the best contest of the year over the nationals and grand nationals. You see, shag is a dance that requires a good bit of improvisation, those little extras that everyone adds in are unique to each couple and make their dance memorable to not only them but also all of those who are watching. It's a small dance meant for a small floor, born in bars around the Grand Strand instead of being on a polished stage with everyone sitting down all prim and proper. It seems almost an insult to the casual nature that this dance thrives in to put it in a grand ballroom and sell tickets for all the surrounding tables. 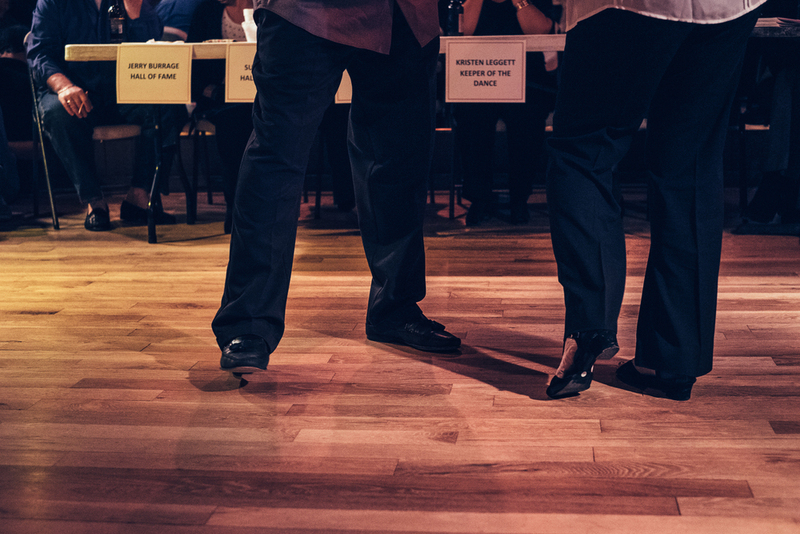 At Keepers Of The Dance, there are no assigned seats, no VIP areas or advanced ticket sales. 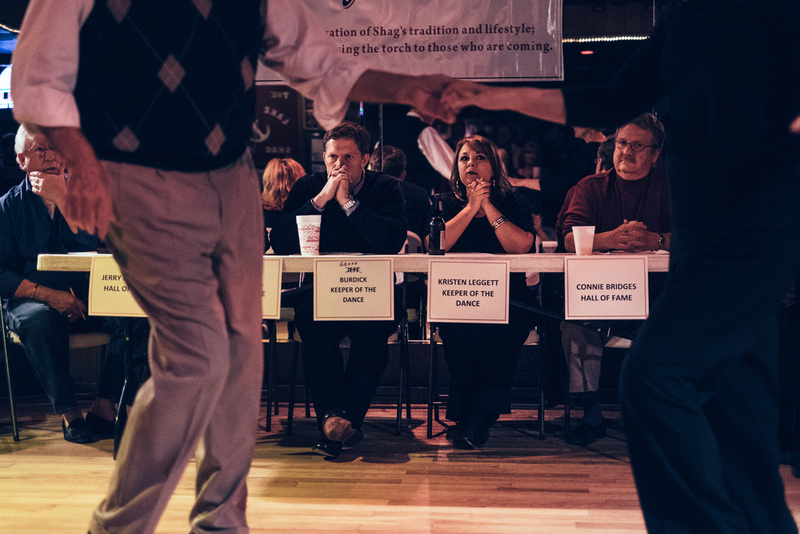 All you do is pay the cover and watch those who are best at this dance in the world battle it out for first place. This is what I love about shag. I went in with the intention of photographing the event, I knew a few of the people that were competing and it had been made known that I would be there photographing the event as to not create any type of suspicion even though it shouldn't have been a big deal if I was just a regular schmo walking in off the street. During the senior category, my wife and I were asked to move six times. Six. Times. Saying that we were asked is kind of a nice way of putting it; we were verbally removed if you will. Though I can be loud and boisterous and plenty obnoxious, my wife is pretty tender hearted and did not take kindly to those wearing sour faces looking at us like we killed their dog. We watched the entirety of the senior division, but after that I just couldn't stand it anymore and we had to leave. It's hard being in a place where you feel you are not wanted, even as just a spectator. I paid my money to get in like everyone else but quickly discovered that it doesn't matter who you are, if you're not one of their community, you don't belong. It's an unspoken, members-only club that isn't accepting applications. This is what I hate about shag. I feel like a parent when I say this, but I'm not mad about it, I'm just disappointed. I really enjoy shag because it's danced to the music I love. The clubs are non-smoking and I have never seen a fight break out, or authorities or security have to get involved in any type of argument. That's very hard to come by especially in a place like Myrtle Beach which is littered with raunchy night clubs. What is really disappointing is that this type of dance won't last long with the mindset that is common between most of those who participate. Being rude and closed off means you are not gaining any more members. On a regular Saturday night, my wife and I are the youngest there for a very good reason. It's because people that are learning or don't know how are directly or indirectly pushed away by those who "Keep the spirit of Shag alive". No one wants to spend there money at a place they don't feel welcome. I'm afraid because of this, places like Fat Harolds and Ducks and the OD Arcade wont last long enough for the next generation to ever see it. I don't know what shag will look like for my kids. Will it die out completely? Will those that stay closed off just watch their numbers diminish as time takes it's toll? I sure hope not, but something has to change before that happens.